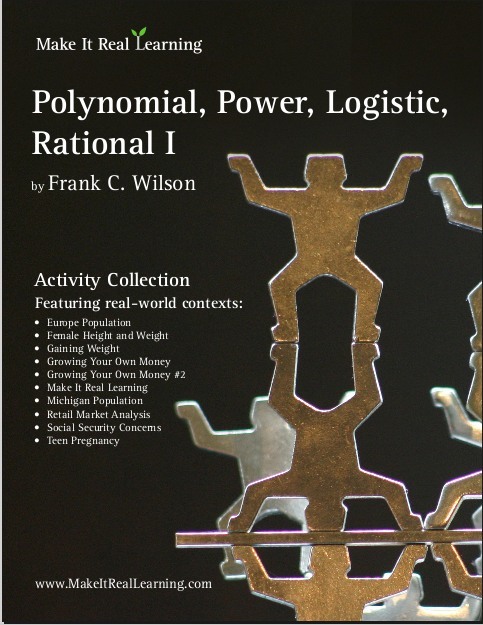 The Make It Real Learning Polynomial, Power, Logistic, Rational Functions I workbook focuses on real-world situations that may be effectively analyzed using polynomial, power, logistic, and rational functions. 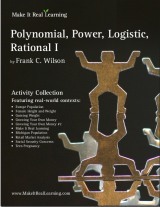 This book is suitable for high school or college level algebra 2 or precalculus courses. From monitoring changes in height and weight to forecasting the population of Michigan, learners get to use mathematics in meaningful ways. Each activity integrates real world information, companies, and issues (e.g. Europe, Michigan, Social Security, teen pregnancy, gaining weight, growing money), not just "realistic" data.